As if Southern California weren't already blessed with a robust music festival quotient, the beer giant responsible for every American's first hangover is throwing us a Labor Day doozy. 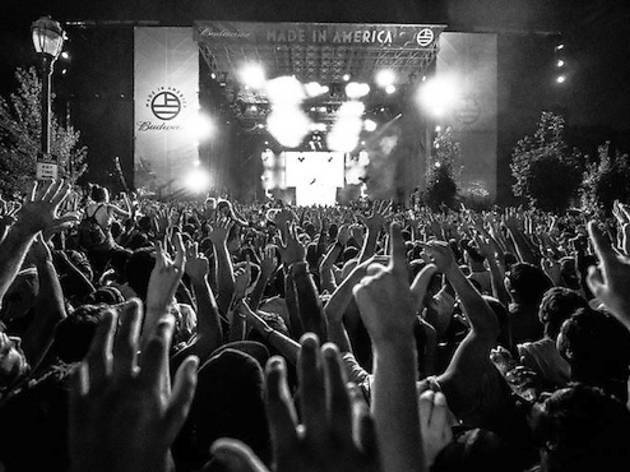 Budweiser's "Made in America" fest began two years ago in Philidelphia, and thanks to the efforts of Jay Z, Mayor Garcetti and Live Nation's Michael Rapino, it's making its way to the heart of Los Angeles. Gone are the days of schlepping to Indio: Commuter conscious Made in America will host its expected 50,000 Bud-guzzling attendees right in the middle of Downtown's Grand Park. The LA City Council predicts maximum chaos as a result; but, a portion of the profits will go to benefit local poverty-fighting organization United Way, so maybe it'll all even out in the end. 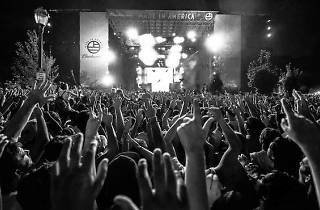 Jay Z curates the lineup of over 60 artists, set to perform across three stages, including headliners Kanye West, Iggy Azelia, Imagine Dragons and John Mayer, as well as Steve Aoki, Juanes, Afrojack, Kendrick Lamar, Rise Against, Weezer and Capital Cities. Shell out the $125 ticket price, if you dare.